Whether you would like assistance packing up your entire home or you’d just like some help tackling the kitchen, our highly trained packers will do the job efficiently and safely. 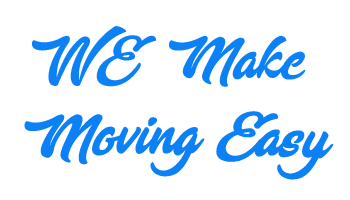 We also offer an extensive range of moving boxes and packing supplies to prepare you for packing for moving. We carefully pack all your stuff in our specially designed moving boxes. 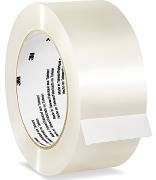 We’ve got everything covered – boxes, tape, paper, etc. Then if you like, we’ll unpack it all in your new home too. Just relax and enjoy your coffee! You tell us what you want packed. 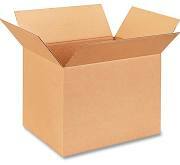 We bring the boxes you’ll need, and help you pack just those items or rooms. Simple as that. Convenient and easy to move around moving boxes for books, small items, heavy items. 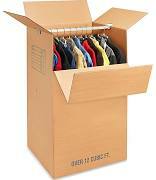 The Wardrobe Box is perfect for moving your clothes and garments on hangers. Think of The Wardrobe Box as a mobile closet allowing your clothes to avoid wrinkling that would occur by folding. 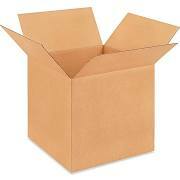 Linen Boxes also called medium boxes may be used for packing linens, medium sized items, electronics, toys, etc. 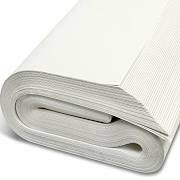 Packing paper is an acid free and ink free newsprint paper ideal for protecting fragile items such as dishes, glassware, valuables, collectibles, home décor, and much more. It can also be used as to pack open spaces in moving boxes and storage containers to prevent items from shifting. Keep items safe and secure while in storage or during a move! Dish Box is designed for packing fragile items such as dishes, vases, china, glassware, dinnerware, antiques, and more. Dish box is this thicker in corrugation for more protection. Packing Tape used to secure the bottom and top of boxes.